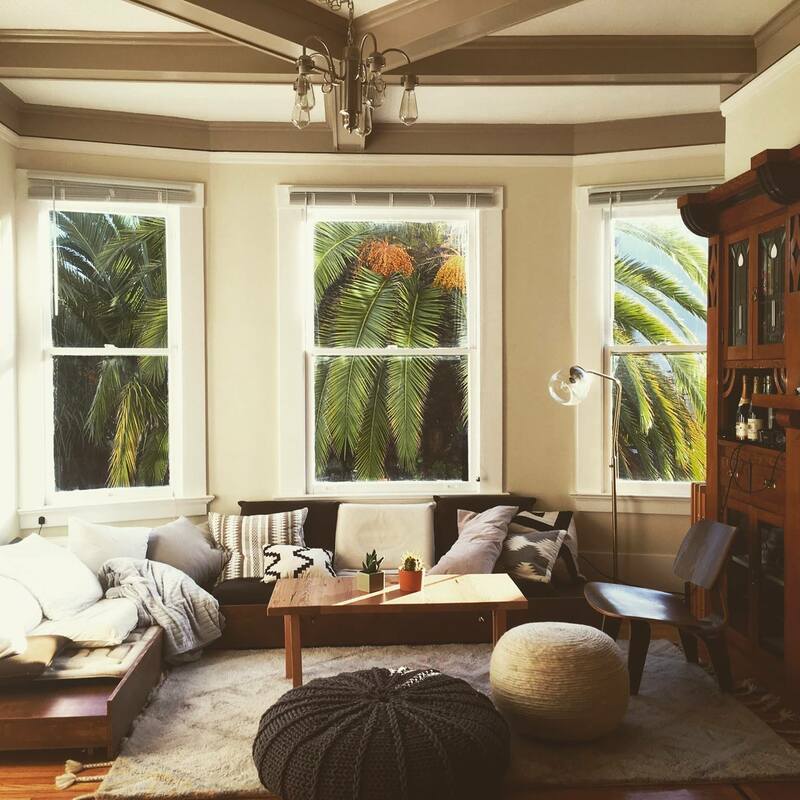 The Archive is a long-term coliving house near Dolores Park in San Francisco. We value curiosity, reliability, intentionality, and benevolence; we believe that a community that cares for and empowers each other is key to a fulfilling and impactful life. The Archive is growing! If you’d like to live with us, shoot us a message. Interested in staying with us for a short amount of time instead? 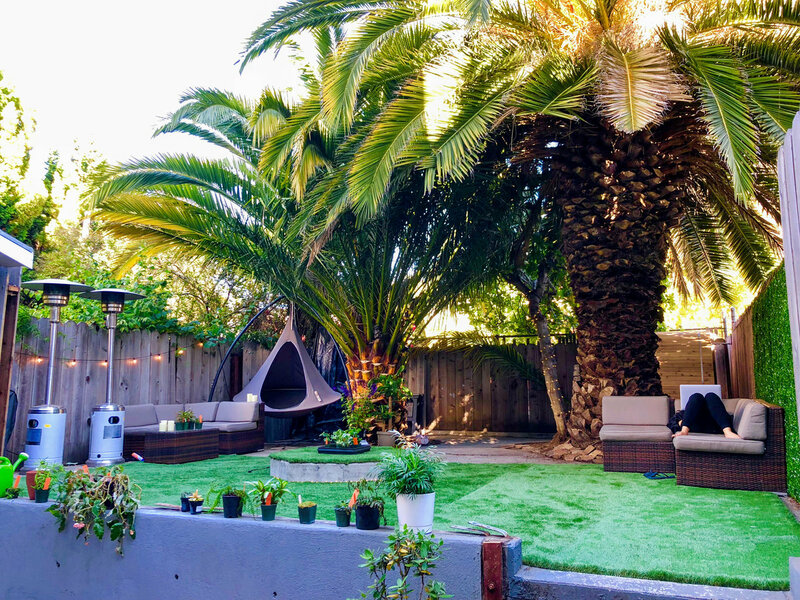 Check out one of our Airbnb listings. Or maybe you'd prefer to stay updated on future plans or events. If so, consider signing up for our occasional newsletter. Annie Brett is an oceanographer, explorer and lawyer who spends her time thinking up novel ways to solve wicked ocean problems for Stanford and the World Economic Forum. In the more romantic past she spent several years as the youngest female captain in the Pacific, visiting remote islands, learning how to fix anything with duct tape, and amassing sea stories with an 18-person crew. Now that she has all the degrees, she spends her free time running National Geographic expeditions, tinkering with boats and plants, and searching for fresh raspberries. Arram Sabeti founded ZeroCater, a business he grew from his living room to over 150 people which has now sold over a quarter billion dollars in meals and has been covered by publications such as The New York Times, The Wall Street Journal, and Forbes. Tenacious, considerate, and with more utility belts than Batman, he spends his free time building robots and doing mad science. Homepage. Austin Hou is a designer and engineer. An avid explorer of ideas, places, and experiences, he has flown 22.4x around the earth by distance and has spent time in 67 countries. He has worked on critical protocols at Stanford Hospital, the Deep Space Network at JPL/NASA, ML research at SETI, and co-founded Mavencook, a video cooking app. He also enjoys experimenting with creative technology - this year, he built lighting systems for the Temple at Burning Man. When not working, you can often find him behind the lens of a camera. Homepage. Ben Mann has worked on Waze Carpool at Google, AI research at MIRI and OpenAI, and was a tech lead at Google’s Area 120. Ben's hobbies include meditation, writing, experimentally determining the best brand of chocolate, and masochistically entering ketosis every week for months as an exercise in willpower. Calm and empathetic, Ben’s presence is a soothing influence on our house. Homepage. Christina Kim, prior to her current work at Sourceress, conducted HCI research at Delta Lab, was student body vice president at Northwestern, and hosted their first hackathon. Before that, she built a working wood pipe organ and opened a bakery in South Africa with her limited background in Easy-Bake Ovens. A loyal friend, a voracious speed reader, and an unabashed instigator; be aware that you're not going to have a relaxing day if Tina suggests that you "chill". Blog, GitHub, Twitter. Gillian Morris is the founder and CEO of Hitlist, an app that alerts you when there are cheap flights for your dream trips. Before entering the start-up world, Gillian worked as a consultant, journalist, and educator in Turkey, China, Afghanistan, and Syria. Her work has appeared in/on the New York Times, Harvard Business Review, Buzzfeed, and others. Between flights, Gillian is fighting to regain her six pack thanks to the Archive's sweet home gym and sauna setup. Blog, Twitter, Facebook. Jason Benn is a self-taught machine learning engineer that has been profiled in Cal Newport's "Deep Work" for his habit of interleaving work with periods of intense study. These days he also spends his time watercolor painting and working on the Community Interviewing Project, AKA the Don't Make Other People's Mistakes project. Enthusiastic, inclusive, a tad gullible, half-giant, and Keeper of Keys and Grounds at the Archive, Jason is basically Hagrid. Homepage. Josh Albrecht has cofounded Sourceress (AI powered recruiting for mission driven companies), Ember Hardware (futuristic laser-based VR display), CloudFab (automated 3D printing and injection molding pricing), BitBlinder (web anonymity network), and worked at Addepar. Josh has signed the Founder’s Pledge, has two black belts, and is Arram's definition of conscientiousness (despite miscounting the number of classes required to graduate as a CS and math major). Homepage. Kanjun Qiu is the CEO of Sourceress and previously cofounded Ember with Josh. Before that, she was the Chief of Staff, PM and engineer at Dropbox. In a past life, she wrote a book that about sewing and circuitry that's now taught in 60 Boston middle schools, arbitraged yarn from her dorm room, and designed high-frequency trading strategies. She’s diplomatic, has a talent for asking incisive questions, and her laugh can be heard from multiple zip codes. Laura D'Asaro is the co-founder/CBO at Chirps and spends most of her time thinking about how to get people to eat more bugs. They got a deal on Shark Tank in 2017, and Chirps are now in stores nationwide. When not cooking up crickets, you’ll usually find her working on her next crazy plan, like constructing the world’s largest nachos, or figuring out how to grow a giant pumpkin and make it into a boat. She also plays the ukulele poorly but passionately, can walk on her hands, and has an unusual love of watermelon. Michael Lai's six word story is “failed professional athlete, striving education entrepreneur.” He is currently exploring startup ideas to improve childcare in America and building a nonprofit venture studio for early childhood development. Previously, he was a Director helping build a university from scratch at Minerva Project, worked at Google.org, and competed on Harvard's varsity golf team (where he was decidedly NOT the next Tiger Woods). His passion for education starts from the classroom — 6 years volunteer teaching preschool, elementary, and middle school. If he’s not starting flashmob dance parties, meditating, or adding magic to a friend's day, he’s probably curled up with a book. Homepage. Michelle Valentine invests in early stage software companies at Index Ventures, a venture capital fund. Before venture, she worked in investment banking primarily structuring large debt related financings. In her free time, she plays for a netball league and is a forever learner of Buddhist philosophy. Profile. Nina Miolane is a researcher and lecturer at Stanford, where she explores the mysteries of healthy and pathological brains. She loves to think about the Minority Report of medicine: what if we could diagnose and cure diseases even before the symptoms appear? Prior to this, she was a machine learning engineer at Bay Labs working on the automatic diagnosis of cardiovascular diseases, she was also a graduate student in mathematical physics working on neutrinos detection. If not at the Archive, look for her on a flying trapeze at the circus, riding her motorcycle on the 1, or hiking in the wilderness! Homepage. Tom Brown is an exceptionally tall AI researcher (OpenAI, Google Brain) trying to save the world by breaking AI systems (and make them less breaky in general). Before becoming a very serious person, Tom was the cofounder of Grouper, where he served over a million drinks to partiers in bars around the world. In his free time, Tom enjoys acroyoga, VR sculpting and plumbing the depths of the internet for flowing space pants. Blog, GitHub, Twitter. Tommy Collison is an Irish startup person, coder, writer, and pilot-in-training. He's working on growth and international expansion at Lambda School, where he's also studying web development. His dubious achievement is that he's kept a list of every book he's read since 2009. Twitter, homepage. Zain Shah is an ML engineer at Opendoor. Before that he was a research scientist at OpenAI and founder of a mobile analytics company called Watchsend. He has a knack for scrappy solutions to hard problems: be it gathering unsupervised training data for deep learning, finding great flight deals, or memorizing 200 digits of pi in case he’s ever without a calculator. Homepage.